Bihar goes to polls in October 2015. Nitish Kumar, Lalu Prasad and Congress have joined hands to take on BJP. Nitish is counting on his development track record. He is also confident of support from Muslims, Yadavs and Kurmis, who together form over 30% of the electorate. Any communal tension could create a polarisation and queer the pitch for Nitish. Modi\'s popularity is still intact, especially among Upper Castes and the youth. Jitan Ram Manjhi\'s ouster has turned Mahadalits against Nitish. 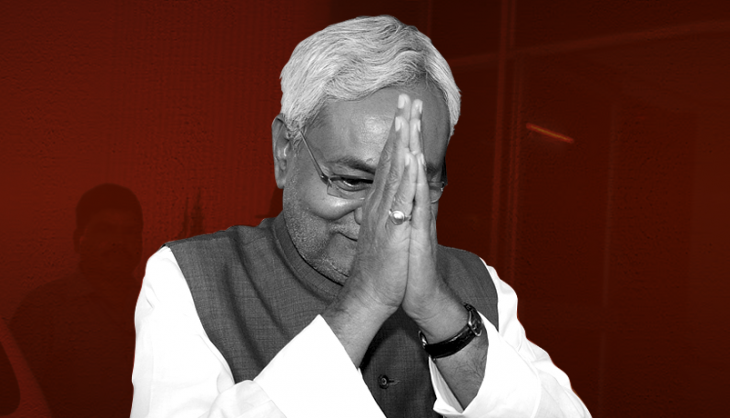 Will Nitish Kumar be fifth-time lucky and lead Bihar again? As election fevers grips Bihar, a quick assessment of where he stands. The one-year report card of Narendra Modi belies his promise of 'Achhe Din'. Any change, in the economy or governance, isn't visible to the common man. The opposition has been fairly successful in portraying the Modi government as pro-corporate and anti-poor. The government is on the backfoot on the Land Acquisition Bill, having failed to get the legislation passed by Parliament, despite its overwhelming majority in the Lok Sabha. The term 'Achche Din' is becoming more a joke on Modi rather than a genuine feel good factor. Nitish Kumar's supporters believe the people of Bihar would choose the chief minister's track record over Modi's distant promises. There is sympathy for Lalu Prasad Yadav in his community, not least because he was jailed for corruption. The Yadavs of Bihar vote tactically and may vote en mass for the RJD this time, to the benefit of Nitish. The Muslim vote is likely to consolidate against the BJP, and since Nitish, Lalu and the Congress have united into a secular front, this substantial chunk of vote will go to them and not split. The Muslim-Yadav combine has long been a potent votebank in Bihar, helping the RJD to power for over two decades. The two communities together account for 28% of the electorate. Add to this Nitish's loyal Kurmi vote base of around 2.5% and the alliance can count on nearly a third of Bihar's electorate. Even if the upper castes go with the BJP-led alliance and Dalits and Mahadalits vote tactically as well, it might not be enough to beat Nitish's formidable coalition. In Bihar, Nitish, not Modi, is the face of development. Even his harshest critics admit that his performance as chief minister has been impressive. Many would argue that he has changed the face of Bihar in the last 10 years. He can justifiably boast of lowering the crime rate and providing better infrastructure. His alliance with Lalu, however, could take the sheen off his pro-development image. The Congress is already allied with the JD(U)-RJD and indications are the Communist Party of India (CPI) will also partner them, making it the biggest non-BJP alliance in Bihar. Nitish is by far the tallest leader in Bihar. Lalu, who is older, cannot contest elections and is seen by many as a personification of misrule. The RJD has competent leaders like Raghuvansh Prasad Singh but their growth has been curtailed by Lalu's family-centric leadership. The BJP does not have a chief ministerial candidate, and isn't in a position to come up with a name. The upper castes want one of their own to be the candidate for chief minister. However, the party can't afford to alienate Sushil Modi, a backward caste leader and former deputy chief minister. The BJP's indecision is in Nitish's favour . If last year's by-election results are any indication, it would seem the wind is blowing in the JD(U)-RJD-Congress alliance's favour. The alliance won 6 of the 10 seats on offer, snatching 5 seats from the BJP, just 3 months after the BJP's victory in the Lok Sabha elections. The state BJP is marred by caste conflicts. The Upper Castes find it difficult to inhabit the same political space as Dalits and backward castes. The Bhumihars, an Upper Caste, are loath to accept an OBC like Sushil Modi as the leader. The Upper Castes are also upset that they are not as well represented in the Modi government as Dalits and backward castes. Although Nitish's JD(U) and Lalu's RJD have entered into an alliance, there is no agreement on the division of seats. Bihar has 243 assembly seats. The RJD wants 145 seats, while Nitish has proposed that the RJD and the JD(U) contest 100 seats each, leaving 43 for allies, the Congress and the CPI. A seat sharing agreement won't be easy to reach and inordinate delay will damage the electoral prospects of the alliance. The former chief minister is an important Mahadalit face. His exit has already dented JD(U)'s support among the community. The BJP has brought Manjhi's Hindustani Awam Morcha into the NDA fold along with Upendra Kushwaha's Rashtriya Lok Samata Party and Ram Vilas Paswan's Lok Janshakti Party in an effort to stitch a rather formidable coalition of Upper Castes, Dalits, Mahadalits and Kushwahas. After his conviction, Lalu can't contest any election. Although his wife Rabri Devi and sons Tejaswi and Tej Pratap are trying hard to keep their Yadav vote base, they may not be entirely successful. Pappu Yadav of the Jan Kranti Adhikar Morcha and Hukum Dev Narayan Yadav of the BJP, political observers believe, could wean away some Yadav support, thereby defeating some of Lalu's candidates and reducing victory margins of others. The BJP plans to field Yadav candidates on Yadav-dominated seats allotted to Nitish under the RJD-JD(U) seat sharing deal. This, the party believes, will prevent Yadav consolidation in favour of Nitish. Apparently, the prospect of communal tension on the eve of the election is giving Nitish sleepless nights. A single incident like the Gaya bombing could change the course of the polls. Not surprisingly, the government is all out to prevent any communal flare-up. 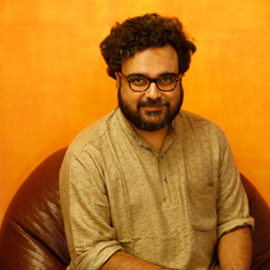 "The Trilokpuri riots in Delhi did not help the BJP at all. In fact, the riots went against the party," a senior leader JD(U) points out, "but one can never predict the electoral fallout of a communal riot. Even talking about the possibility of communal riots can go against peaceful and positive voting." The upper castes constitute nearly 15% of Bihar's electorate. That may not seem much but these are rich and influential voters. The prospect of the Lalu-Nitish alliance consolidating backward class votes will rally upper caste voters to the NDA just like in the Lok Sabha election last year. Despite Nitish's attempts to woo them, the Upper Castes are expected to vote against him, again. Several JD(U) and RJD leaders say cases in the Department of Revenue Intelligence against some top RJD leaders played a role in delaying the alliance. But they are hopeful that like Jayalalithaa, they too will be acquitted. Some, however, fear that taking on Modi aggressively might provoke the government into using the investigative agencies to harass them. The BJP hopes to garner support of three segments of voters - upper castes, Dalits and Mahadalits, and the youth; Dalits because the RSS has been actively working with the community. If Dalits, Mahadalits and the youth go with the NDA, it could be curtains for Nitish and Lalu. Modi has little to brag about his first year in office. If that wasn't enough, many of his policies are seen as anti-poor and pro-big business. Still, inflation is down and the economy is starting to look up. Many observers of Bihar politics believe that the Modi Magic is not yet over. He stands taller than most other leaders in the fray and the voters may opt for him as they did in Haryana and Maharastra last year. Convincing Bihar's voters that their alliance will stay the course won't be easy for Nitish and Lalu. The two leaders' history of rivalry and the prospect of a succession battle in Lalu's party could dissuade the voters from giving the alliance a stable mandate.